Recently the abrupt departure of the CEO of Rolex, Bruno Meier, after a short time running the firm, caused some consternation in the Blogosphere, however (as normal) I choose to disagree. I believe that the big news is not the departure of Mr. Meier after such a short period at the helm, neither is it the arrival of his replacement, Mr. Marini (until recently, the head of Rolex Italy); rather it is the creation of a new post; that of Head of Overseas Sales. The new job will be taken by Daniel Neidhart (until recently based in HK, where he ran the China market for the firm); what is important is that Mr. Marini is 64 years old, and therefore unlikely to be in the job for long, whilst Mr. Neidhart is a stripling of 48. Mr. Neidhart was born in Hong Kong & will now move to Geneva, insiders see this move as the appointment of heir apparent. In probably his best play "The Importance of Being Ernest", WIlde has Lady Bracknell say "To lose one parent, Mr Worthing, may be regarded as a misfortune; to lose both looks like carelessness." Pretty much what you could say about Rolex right now; for a company who prided themselves on having only three CEOs in 103 years, to lose two CEOs in a couple of years seems to be almost anarchic. What is important is that the changes indicate a reversion to type at Rolex; historically the CEO has been a lifetime Rolex person & (crucially, in my opinion) has come from the marketing side of the company. Whilst some might like to think of Hans Wilsdorf as an inventor or watchmaker, he was neither, in all his official documents Wilsdorf described himself as a "Merchant"; the nearest word in his days to what we would now call a Marketer. His successor Andre Heiniger, although trained as a lawyer, spent most of his early life as the head of sales for Rolex South America. During the dark days of WWII, South America was the only profitable area for Rolex (and other Swiss watch companies), being both peaceful & working flat out to supply the combatants with raw materials. Andre's son, Patrick, who succeeded him; was a major marketer who will be remembered for his far sighted ideas of linking Rolex in with major sporting events but whose lasting legacy will be his decision to consolidate the 27 factories around Geneva into three huge plants and in so doing, become almost 100% self sufficient. What joined all three was that they were all lifetime Rolex marketing guys, and so steeped in the culture & ideology of the company. Bruno Meier, was a banker by training & spent almost all his life working in that field, his appointment as Finance Director at Rolex lasted only three years until he was promoted to CEO. The two new guys at the top of the company are both long time Rolex employees and, interestingly, both marketers. In essence, what we are seeing at Rolex is a reversion to type, with one marketer with 40 years experience at the company being brought in as a 'safe pair of hands' to smooth the transition to younger guy who can be expected to be at the helm of the firm for a decade or more. 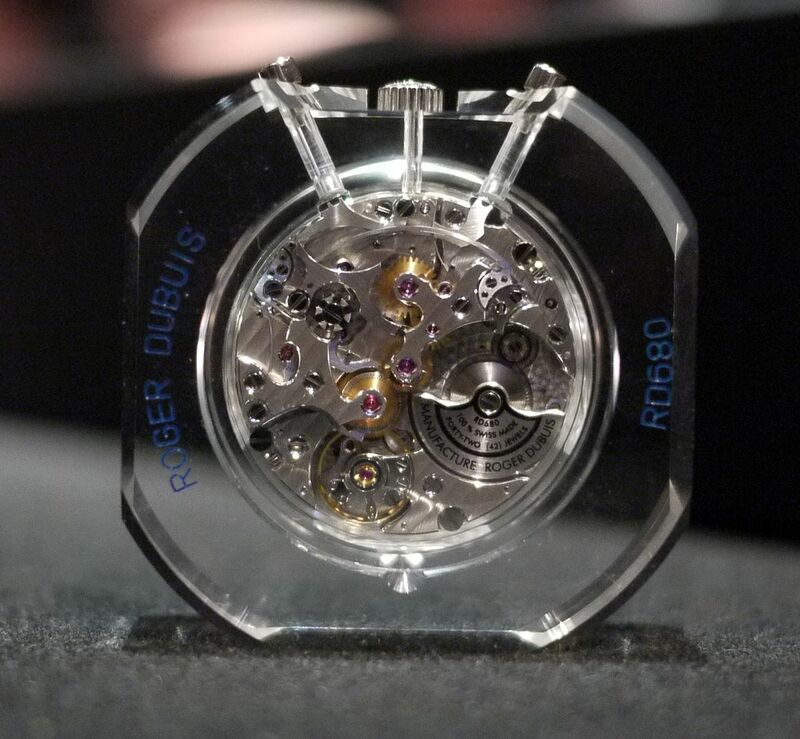 Next week I am spending a few days at the Roger Dubuis atelier near Geneva airport; so, before I write the report on that visit, I thought that you might like to read this piece I wrote about the major changes at the company earlier this year. 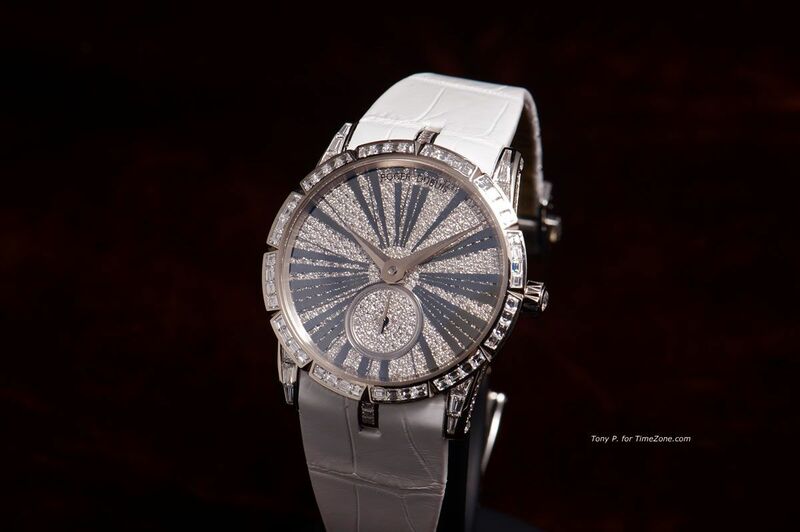 If this year's SIHH salon was characterized by any one thing, it was conservatism, most brands played it very, very safe. Let’s be honest here, if you wanted a perpetual calendar, wouldn’t this be the perfect way of displaying the day, date & month? You might not like the rest of the dial (and I don’t) but isn’t that the perfect perpetual calendar display, how come no-one else does it & no-one has done it since Patek did a few pocket watches with that display, but even they haven’t made one in over 50 years and they never made a wristwatch version. 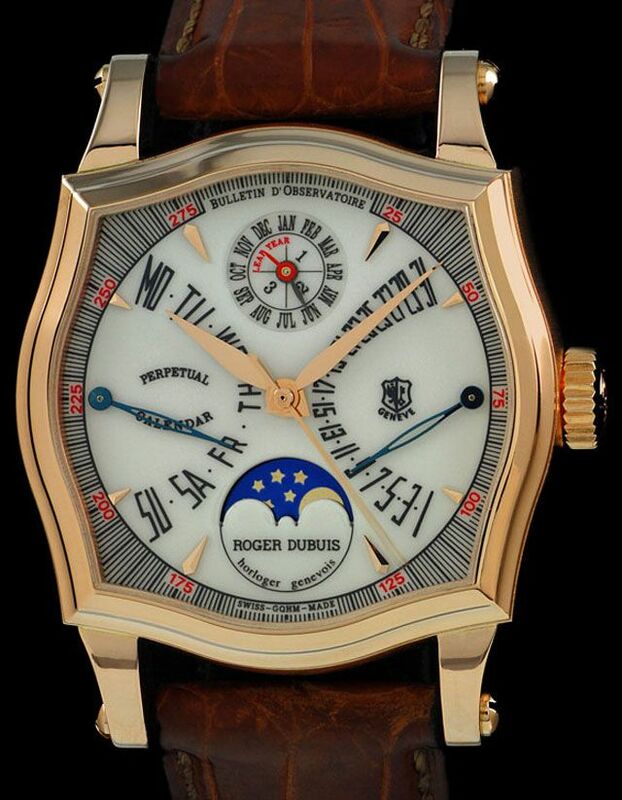 But before we look at what is happening with Roger Dubuis now, it is important to understand the short history of the firm. 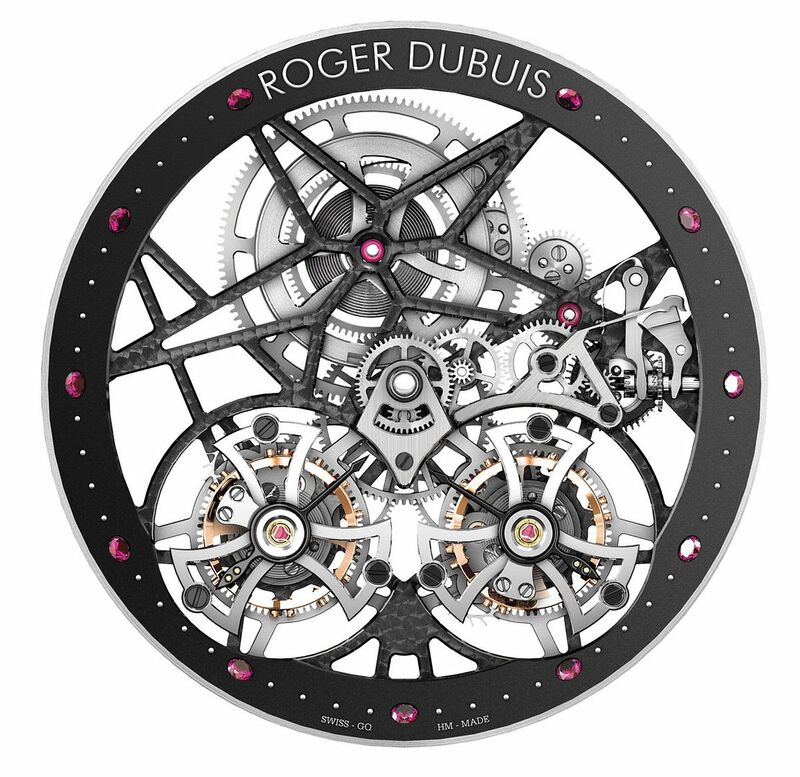 Roger Dubuis (who was a real person); like Laurent Ferrier, Peter Speke-Marin and F-P Journe worked for many years restoring classic wrist & pocket watches from the great names & built up a reputation as one of the finest watchmakers of his generation. 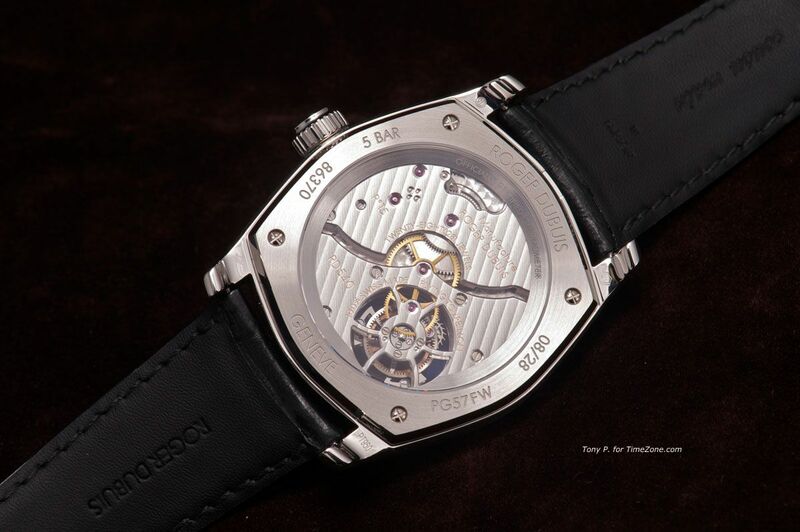 In the early 1990s he set out on his own and with some investors built a brand new factory near Geneva airport and in 1995 began to produce the first watches to bear his own name. The factory was the first brand new one to be built in Geneva since the ‘quartz crash’ of the 1970s and was equipped with the latest equipment; spark & wire erosion machines and the newest CNC borers and lathes. The great advantage of this equipment is that it is inherently very flexible and the new firm took advantage of this flexibility to do something no-one else had ever done, they announced that ALL their watches would be limited editions, with precious metal watches in runs of just 28 units for each metal. The number chosen ended in 8, because it was considered a lucky number in Chinese numerology. The limited edition idea was brilliant, but in implementing it, the firm built a rod for their own backs. If you only make a few dozen of a piece, it isn’t enough to allow all the problems to be worked out and the firm developed a reputation as a company with exciting designs but very bad reliability. The initial watches were amazingly complex; this early perpetual calendar from RD was one of the first watches to use double retrograde indication and was housed in their signature case design, known as ‘Sympathie’. It was a combination of cushion & round shapes and utilised one of the most complex sapphire crystals of its time. Not long after the company ramped up to full production, M. Dubuis left the company, the circumstances of his departure are not known, but after his departure two things happened; firstly the company began to launch much more extreme case and dial designs and the service problems became even more prevalent. 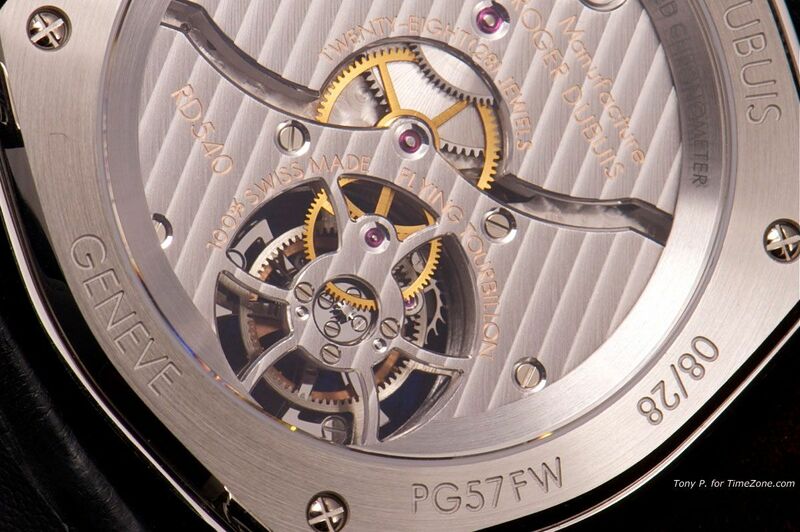 The introduction of new models & movements increased at an exponential rate, resulting in the introduction of 30 new movements in the first 15 years of the firm’s existence, most of these movements were complicated ones, ranging from split second chronographs to the world’s first watch with twin tourbillons. For comparison, this was during the time when the long established (and much larger) Patek Philippe had introduced less than a quarter of that number of new movements. Not only was the company introducing new models and movements at a ferocious rate, the firm also became increasingly embroiled in litigation; it was involved in lawsuits filed by everyone from its US distributor to the minority shareholder, all the while trying to placate the Swiss Bank Credit Suisse who held a mortgage on the factory and who was becoming increasingly uncomfortable with the potential of its investment. This period of conflict came to a head in October 2006, when what I call ‘The war of the Press Releases’ began; like most watch writers outside Switzerland I knew nothing about this until I got a press release from RD in my inbox on the afternoon of 2nd October, this release stated that the firm “...would like to make a formal denial of the rumours that a large Group, active in the watch domain, has recently acquired his company. 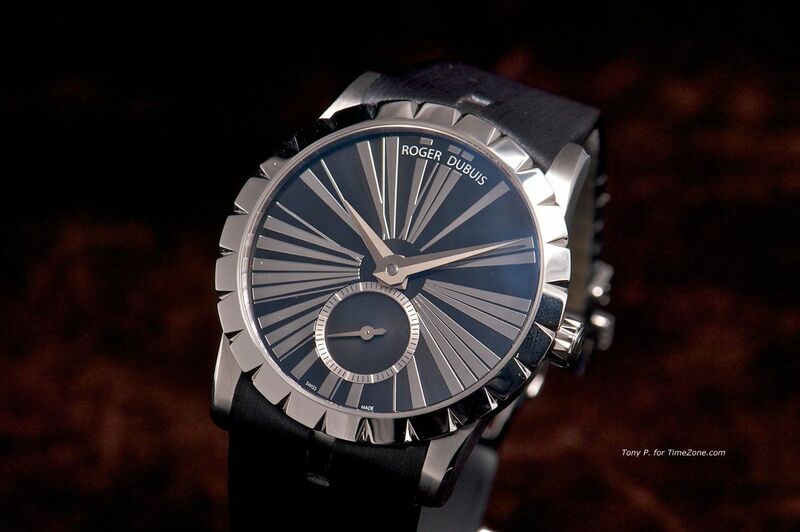 This information, which is totally unfounded, is particularly inopportune, coming at a time when, backed by an extremely effective industrial infrastructure, the ROGER DUBUIS Manufacture is completely independent, designing, developing and manufacturing all the components of its own movements, including the regulating organ (the sprung balance). What this release did was to alert those of us outside Switzerland that there were some problems at RD and so I began to keep a closer eye on the firm & this was rewarded the following year when on 5th March I received another bizarre press release from the company. This lengthy document denied a report published earlier that day, in the Swiss business publication ‘L Aegifi’, the release made public to a much wider audience just how deep the rift within the company had become and that there were several legal matters still outstanding. 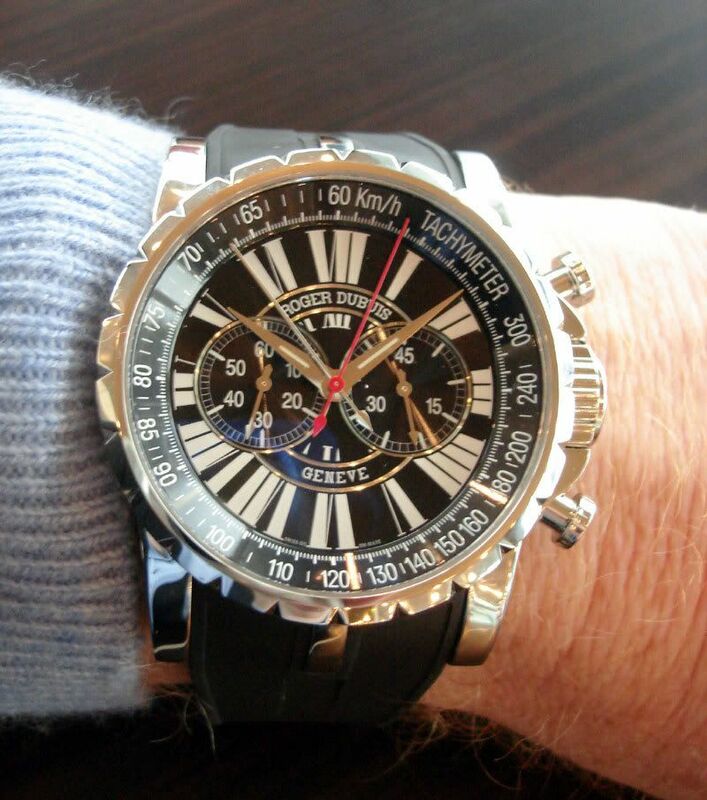 Less than a year after I got the release categorically denying “the rumours that a large Group, active in the watch domain, has recently acquired his company”; I received one from Richemont stating that they had acquired the manufacturing facility of Roger Dubuis. They took over the factory, the machines and most of the employees; as part of the deal, RD & Richemont signed an agreement that RD watches would still be made in the factory and that RD would design, distribute & service these watches. 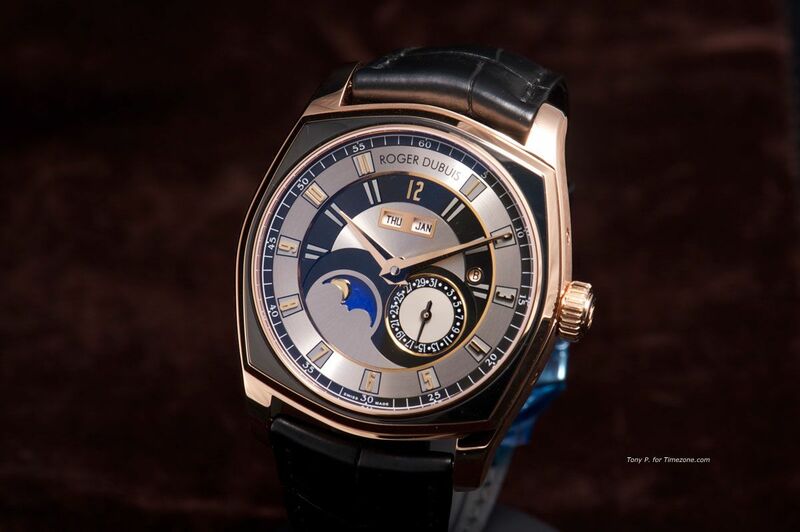 But anyone who could read between the lines could see that the days of an independent Roger Dubuis company were numbered; and so it came to pass that on the 11th of August that Richemont took over RD totally. The question that we all asked was ‘Why?’; in many ways, Richemont had bought a ‘poisoned chalice’; the firm’s reputation was in tatters, it was engaged in legal turmoil on two continents and as the world’s economies staggered in the wake of the failure of Lehmann Brothers, the market for expensive ostentatious watches (which was all the firm made) shrank quicker than any other. The smart money assumed that what Richemont wanted was the factory, its equipment and its staff; of all the watch factories in Switzerland, the RD one was probably the best equipped and most modern after Greubel Forsey and Renaud et Papi, but unlike those two it had the great advantage of being based in the canton of Geneva, enabling its movements to qualify for the coveted ‘Geneva Seal’ certification. The smart money seemed to be proved right when Cartier (without a doubt Richemont’s most important brand) introduced its first watch with the Geneva Seal at the SIHH in March 2008. 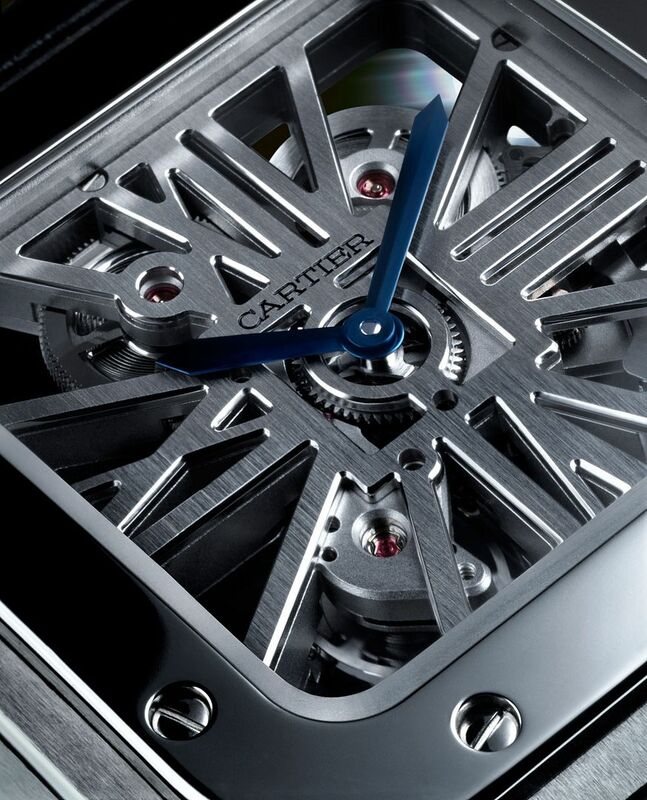 At the following year’s SIHH Cartier launched several watches with the seal, meaning that they were made at the Meyrin factory, particularly notable was the Santos skeleton which quite evidently drew on RD’s massive experience with skeletonised plate design. 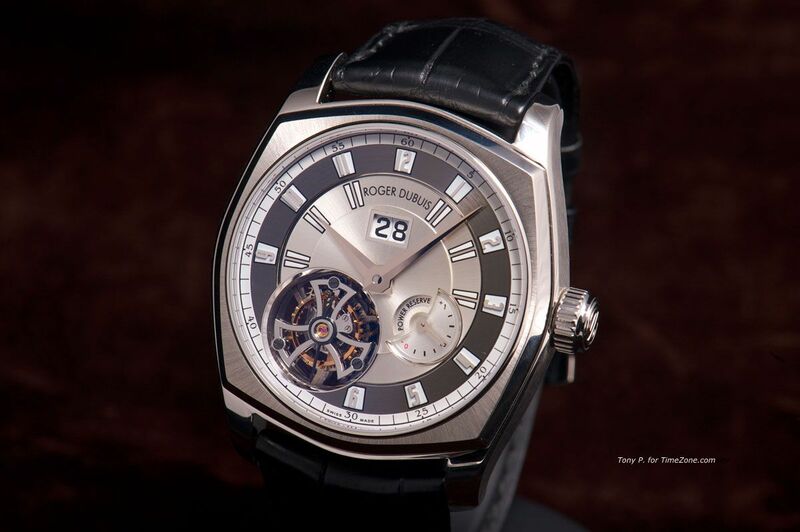 Most observers looked at the new Geneva Seal Cartier watches being introduced and compared that to the paucity of introductions by RD at the 2009 SIHH and made the assumption that RD was on its way out. But Richemont seemed to not be one of those, and towards the end of 2010, made two important appointments to the firm; firstly it was announced that Georges Kern was taking on the position of CEO on 1st October, Kern is currently head of IWC and seen as one of the heirs apparent to take over the helm of Richemont, so this appointment was seen as Richemont’s affirmation that it had faith in the long term future of the brand. The second appointment was perhaps more extraordinary, within weeks of Kern’s joining RD the firm announced that Dominique Tadion was coming on board as Director of Communications. The role of ‘PR Girl’ is often thought of as someone only peripherally involved in the horological industry; but that cannot be said of Ms. Tadion, she was a dominant force in her field during her 15 year career heading the communication department at Rolex. 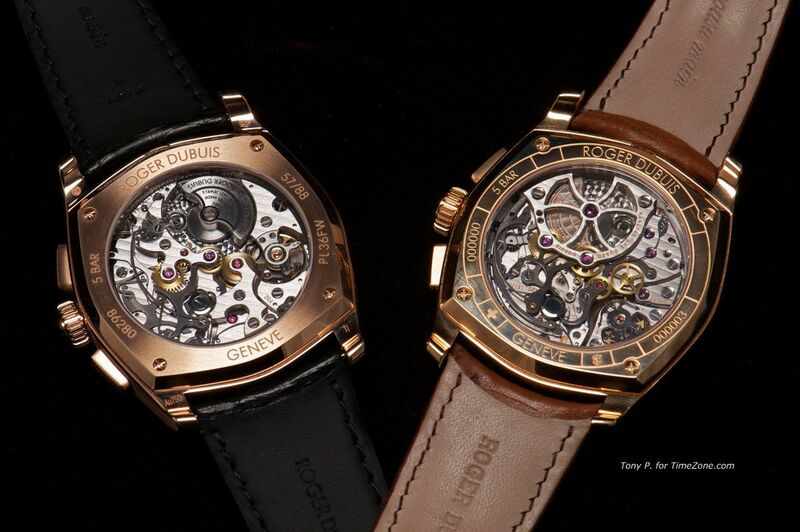 What these two appointments said to me was that Richemont was not only not giving up on RD; rather that they were prepared to commit serious resources into rebuilding the brand, this theory gained traction when just before the end of last year I heard that RD would be launching an entirely new movement aimed at a more affordable price point. So, it was with my curiosity truly piqued that I walked into the RD press briefing first thing on Tuesday morning. 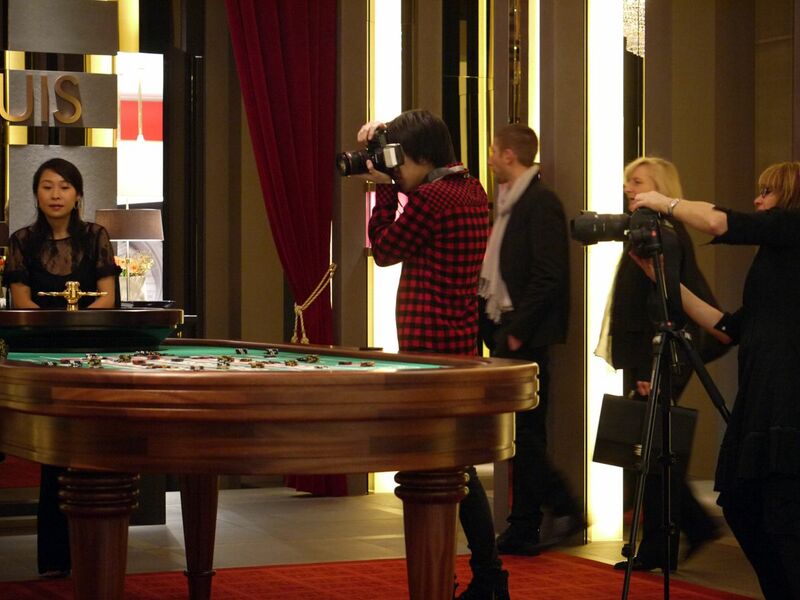 Interestingly the place was laid out like a casino, with a large Roulette table dominating the space. 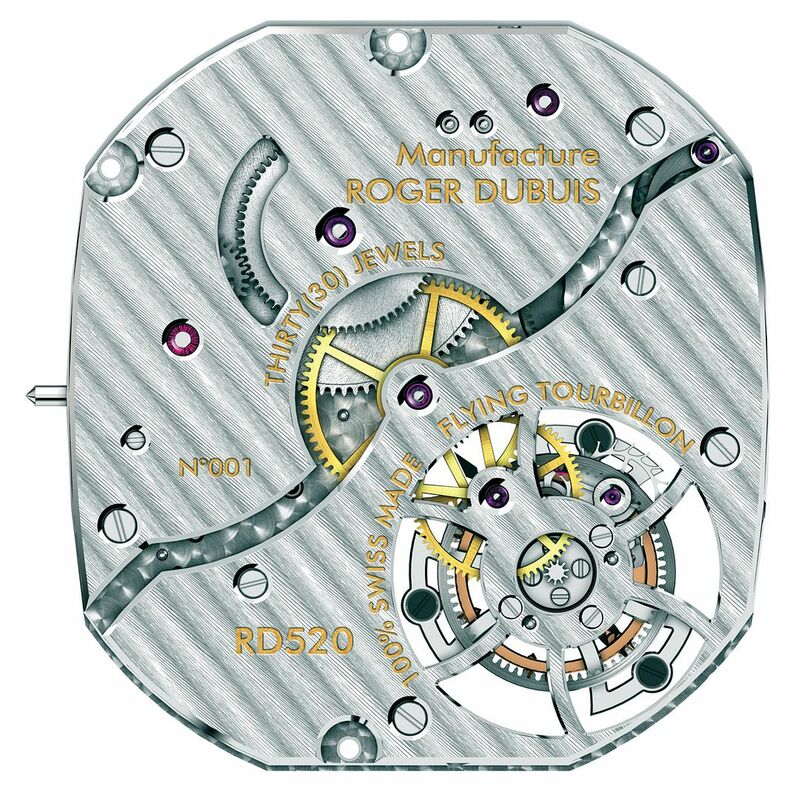 The rumours of a new movement were confirmed within minutes of the presentation starting, called the RD 680, this new movement signalled a return to the values and designs of the company when M. Dubuis was involved. The automatic chronograph movement with microrotor was (for an RD movement) quite conservative, with no skeletonising, 30 minute register only, classic column wheel operation, 30mm diameter, 5.6mm high, 28,800 bph and with a 50 hour power reserve. It was housed in a case called the ‘Monegasque’, although those who have followed the brand will know it as a simplified version of the original ‘Sympathie’ case. I used the word ‘conservative’ above to describe the movement, the same word could also be used to describe the watch, and it could well be the least flamboyant watch ever to come out of the factory, even down to the size, it is a normal sized 42mm case with the standard 2 lug strap fitting. Earlier in this piece I have written a lot about the quality control problems that the firm has faced, I did so because the presentation also talked about these self same problems and what the firm has now done to solve them. Like an alcoholic; if you want to be cured, the first step is to admit that there is a problem; at the presentation RD did this and went on to explain the three step programme that all their watches will now go through. I mentioned earlier that all RD movements qualified for the Geneva Seal, but this only covers the location where they are made and the levels of hand-finishing but not timekeeping nor quality control. This is where RD have been smart, they have outsourced the entire verification and final QC processes, the watches now go to an independent organisation called Timelab set up by the Canton of Geneva where watches are checked for Geneva Seal qualification, timed to see if they meet COSC standards and inspected for quality control issues; all of these tests are under one roof. When the testing is complete, Timelab can issue both the Geneva Seal qualifications and the COSC certificates. The La Monegasque line will be more than just the chronograph shown above, also in the range will be a limited edition version with a dial which has the appearance of varnished wood, with a most unusual strap and powered by one of the earlier RD chronograph calibres. The second image shows the difference between the new movement & the older style RD calibre, the dial shown on the watch on the left is very much inspired by the Roulette table iconography. 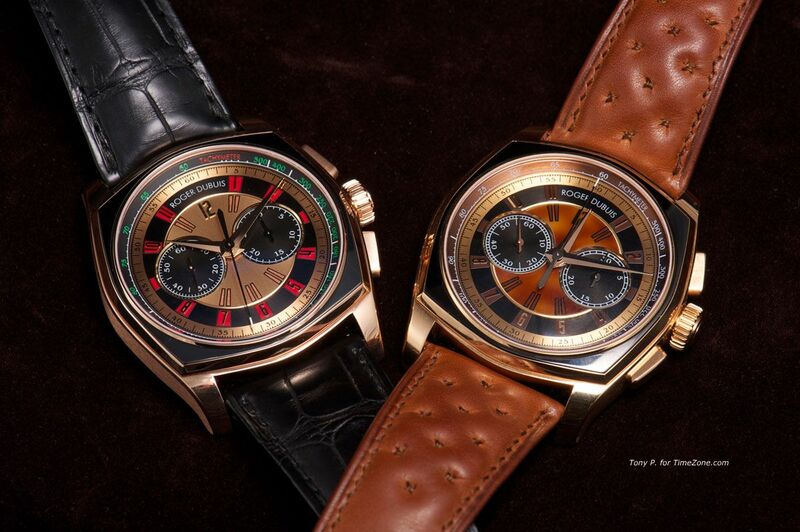 There are two major shifts from the RD philosophy of old, these will be regular production models, not limited in any way (other than the specific limited editions) and the pricing will be similar to or slightly below other high end brands for watches with similar complications with prices ranging between 24,000 Swiss Francs for the time only watches to 67,000 Swiss Francs for the perpetual calendar. 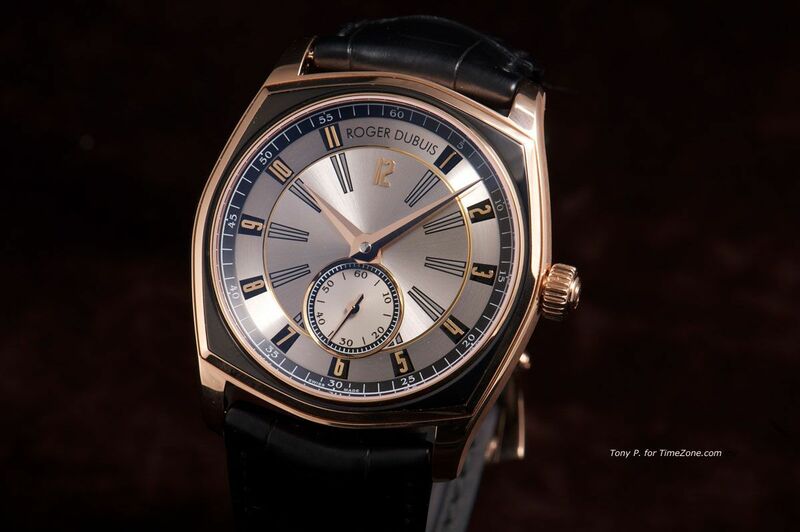 Remembering that the Swiss Franc and the US Dollar are pretty much equivalent nowadays, I consider 67,000 CHF a fair price for a rose gold perpetual calendar with an in house Geneva Seal movement. I think that the La Monegasque range has a good chance of reviving the brand, but it all depends on the support of the dealers and I think that when they see the new watches and when they understand that the deep pockets of Richemont are fully committed to the brand, then they will become as enthusiastic as I am. 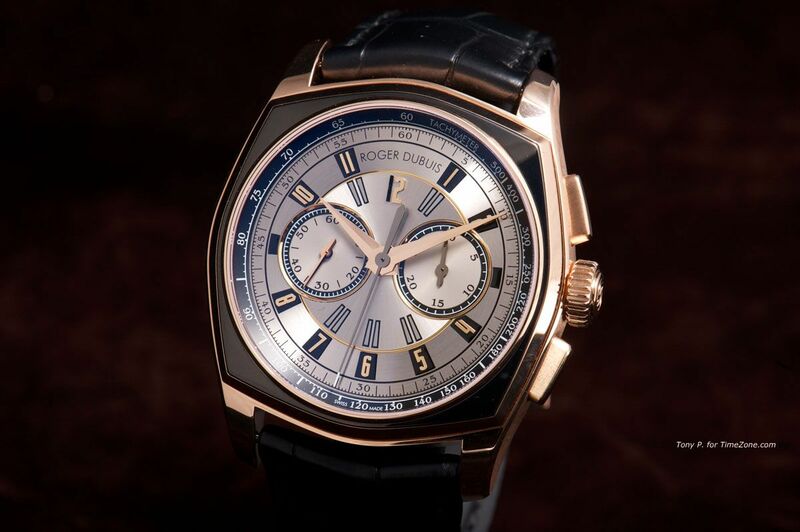 One of the most extravagant signature lines of Roger Dubuis was the Excalibur range, oversized, with exploding roman numerals and a castellated case with triple lugs, it was the basis for many of the firm’s most complicated watches, and here it is housing a split seconds chronograph. I had always assumed that this was a watch specifically aimed at Oil Sheikhs and Russian Oligarchs, as its flamboyant styling was never designed to appeal to your normal haute horlogerie client. 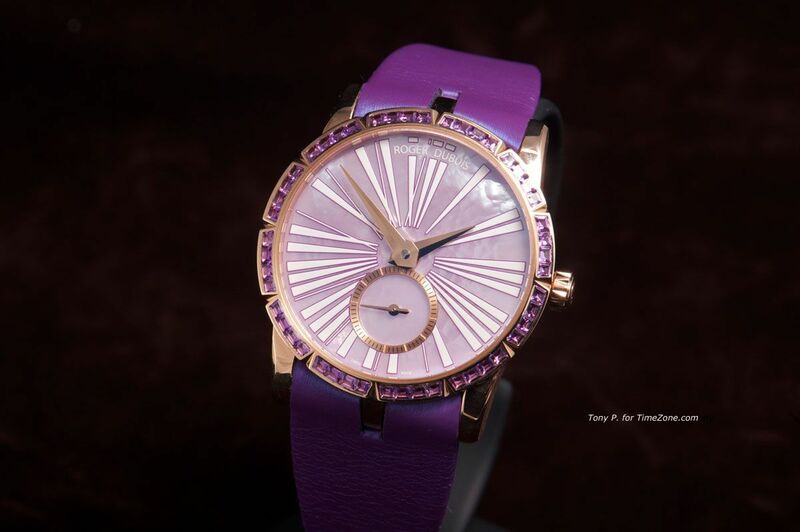 However, there is a large group of people who like colourful watches and have no problem with pieces which have extravagant styling; this group is called ‘women’. So RD have taken the simple path of reducing the size of the Excalibur to a more reasonable 36mm, retained all of the other signature Excalibur features and equipped it with a 11½”’ self winding movement. Available as a simple unadorned timepiece all the way up to fully pavé versions, they make a lot more sense than the more ostentatious models they previously aimed at the feminine market. 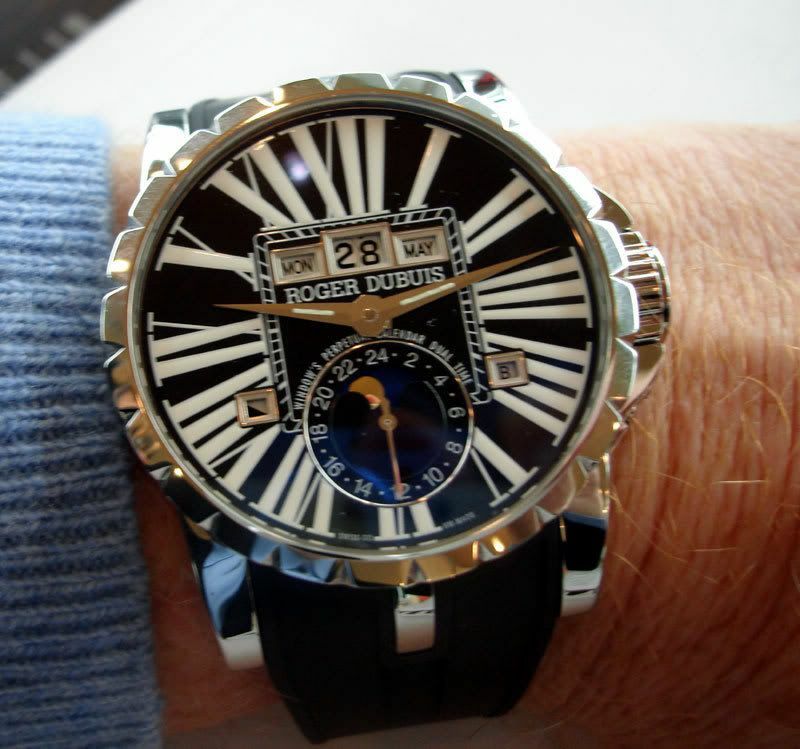 The truth is that no-one knows if Roger Dubuis will make it in the long term, Richemont has always looked at their corporate plans 5 to 10 years ahead, if they see no future role for RD in their portfolio, they would have no problems with disposing of the brand, either selling it or just closing it down. They have sold other brands in the past, and if they ever did sell the brand, they would (of course) keep the factory which is now fulfilling the role they had in mind when they bought it; making Cartier’s high end movements. But, if I had to make a bet, I would say that RD will survive, I base my judgement on one simple fact; they now make a watch I would like to wear and one that I can (just about) afford. Many thanks to Tony P. for his outstanding photography. (One update) Since I wrote this piece, earlier this year, Dominique Tadion has left RD & now runs the press department at the Federation d' Haute Horlogerie; the folks who run the SIHH.